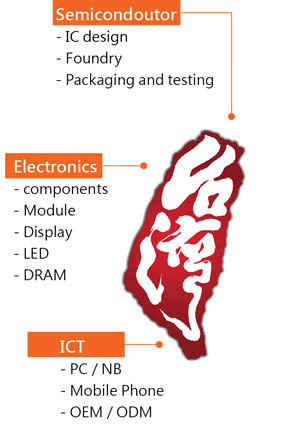 Taiwan, a key player of global electronics industry supply chains, have the best electronics industry cluster in the world, including IC design, wafer foundry, chip packaging and testing in upstream; module manufacturing, components supply in midstream; system assembled, PC and peripherals manufacture, ODM and OEM in downstream, is the highlight of the global electronics industry which every related personnel should focus on. CTIMES English, a Taiwan based tech media, founded in February 2014, focus on the tech industry in Taiwan, depth coverage of technology news, emerging businesses, industry celebrities, and market analysis in Taiwan, is the best media for understanding Taiwan's electronics industry. In addition to Taiwan's industry, CTIMES English also care about the development of the electronics industry in China and entire Asia, to provide more comprehensive vision to our readers.